Soundselectric.org has launched an online buying guide for digital pianos and keyboards. The site provides helpful buying advice dependent on the shopper’s level and budget. Soundselectric.org has launched a thorough buying guide for pianos and keyboards. The site provides unbiased reviews for popular brands and offers breakdowns for equipment based on the shopper’s skill level and price ranges. The website breaks down their piano and keyboard buying guides into five main categories: versatility, portability, price, piano sound and recording. They then assess the data and put together helpful lists to allow shoppers to have all the information necessary to make the right decision for them. The site includes various top lists of piano and keyboard options for different levels, features and price caps. One article includes a list of the top ten 61-key portable beginner pianos under $200. It is a valuable resource for anyone shopping for pianos and keyboards who wants unbiased reviews and the ability to only view the best in a certain category that suits their needs and their budgets. The site also includes guides for people who are farther along in their practice and want higher quality equipment. 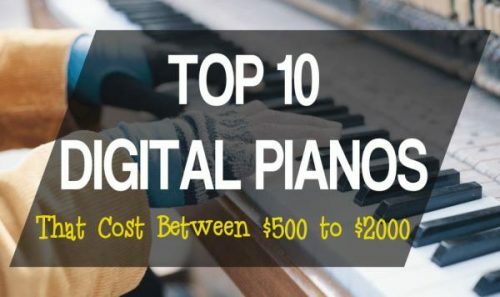 One list in this category includes the top seven digital pianos between $500 and $2000. Another detailed list includes the top five musical keyboards for kids under $100. This list was put together for parents who are in the market to buy an affordable, beginner piano for their child to learn the basics on. The first step when making any purchase is to read unbiased reviews on products of interest. Soundselectric.org offers numerous unbiased and unsponsored reviews on leading piano and keyboard brands including Casio and Yahama. For those too busy to read through the lists, the website has put together short videos as well to make sure even busy shoppers can get the information they need before making a decision. Interested parties can find more information and read the reviews at the link above.